Literally the name of the Japanese capital Tokyo is translated as "Eastern Capital". With its millions of inhabitants, Tokyo is today one of the largest metropolises in the world. 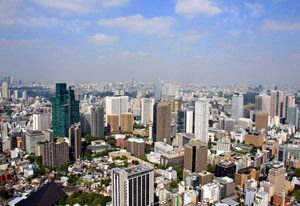 Population only in the Tokyo area is 8 489 653, people of the prefecture of Tokyo is 12 576, 601 people are of a great agglomeration of Tokyo, Chiba prefectures including more, Kanagawa and Saitama - nearly 35 000 000 people. The central part of Tokyo lies northwest of Tokyo Bay. Like most Asian capitals and major cities Tokyo began its story from a small fishing village. Back then Tokyo was called Edo, and in 1497 built a castle, Ota Doka Edo. In 1590 Tokugawa Ieyasu made Edo his base and in 1603 it became his shogun city center for his military government. During the subsequent Edo period, the city had grown to one of the largest cities at that time with a population of over 1 million people in the 18th century. Even then, it became the capital of Japan, although the emperor lived in Kyoto, which was the imperial capital of the country. By 1869 the 17 year old Japanese Emperor Meiji, changed it’s original name from Edo to Tokyo. At that time, Tokyo was already the national political and cultural center and the emperor made his residence as Edo Castle with then became the Imperial Palace. In 1923, Tokyo suffered a great earthquake, which almost matched it to the ground. On February 16th, 1945 U.S. bombers began bombing the city, resulting in the death of between 75 000 and 200 000 people. Tokyo was virtually completely destroyed during World War II as a result of bombing by the American aircraft. 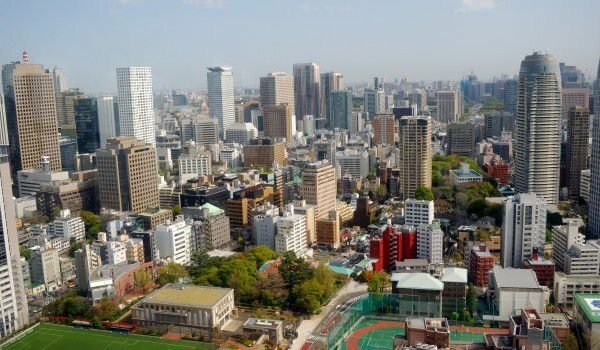 The recovery of the cities began in the early 50's of the last century and the current construction boom, covering the Japanese capital has been in the last 80 years. It should be noted that Tokyo is one of three financial centers in the world along with New York and and London. Tokyo has the largest metropolis in the world economy. According to teachings of "PricewaterhouseCoopers" urban metropolis of the territory has a total GDP of 1191 mmillion in 2005, making it the largest urban agglomeration GDP in the world. 50 companies in the Global 500 list have headquarters in Tokyo. Tokyo is an international financial center, which seats some of the largest investment banks and insurance companies, publishing and television industries. According to the economist, Tokyo was rated as the most expensive to live for 14 consecutive years at the end of 2006, the Tokyo Stock Exchange is the largest stock exchange in Japan and second in the world by market capitalization and fourth in turnover. This huge modern cultural, financial, economic, etc. megalopolis attracts millions of tourists annually from around the world, also it is favorable to its economy. Probably because both wholesale devastation of Tokyo - first in 1923 after the great earthquake in Canto and again after the bombing of Tokyo, now the architecture of the Japanese capital consists of hyper-modern, sleek buildings, tall skyscrapers and vast shopping malls, you rarely can meet with some old building. Interesting to visit is the National Library, which is actually the national library of Japan. Founded in 1948 based on the libraries of both Houses of Parliament and pre-war Japan. In 1949 the National Library is connected and the National Library (the old Imperial Library), the largest in Japan so far. The Japanese capital has many parks and gardens. Undoubtedly one of the biggest attractions in Tokyo is the Emperor's palace. It was destroyed by U.S. bombers in 1945, and reconstruction and recovery were completed in 1968. Unfortunately, the palace is open to visitors only once a year, the day of the Emperor’s birthday. On other days, visitors can not see it because it is surrounded by trees, walls, fortifications and water channels. One of the most beautiful places in the imperial complex in Tokyo is the Nidzyubashi bridge that leads to the door of the palace itself. To enter the palace area and the beautiful public park, you can see behind it starts a series of high modern office buildings. It is known to some as the commercial street of Tokyo. It is located south of Yaesu and Kyobashi, west of Tsukiji, east of Yurakucho and Uchisaiwaicho, and north of Shinbashi. Here you can embark on shopping trips, because this is the area in Tokyo with many department stores, boutiques and restaurants. Also, many world rankings class the Tokyo boulevard as one of the most chic and expensive shopping areas. You should also not miss the opportunity to visit Disneyland in Tokyo. The easiest way to reach it is to use the subway. The line, which you would take to get directly to the desired location is the Yurakucho Line. To easily distinguish each subway line, they are marked with different colors. In our case, the color is yellow and the bus stop, which you should get off is Shinkiba. The card, which provides access to all attractions here is about 36 dollars, but otherwise the others range from 2 to 20 dollars. As you stroll through the course you will immediately find yourself in the amazing world of Disney, and you will not miss any of its characters or shows which are llively with fairy tales. The entire complex is divided into three parts mainly to the West, is the land of adventure. At Disneyland in Tokyo, the first thing you notice is the palace, which is a registered trademark.